I thought I would blog a little about the writing life. I also intend to post some really great blogs I found. The Creative Penn is one and Copyblogger is another. These are great for hints and tips on making your writing better. They also have good stuff on marketing as well. My other favorite sites are Self-Published Author’s Lounge and StoryFix. These should get you started. Enjoy. There are plenty of other ones out there as well. Anyway, I’m in the middle of writing two books right now. One is another non-fiction about allowing joy into your life. This is also part of a sermon series, much like Defeat Fear Forever. We don’t chase after joy, it is part of the fruit of the Spirit. However, we do need to actively choose to rejoice. Otherwise, why would God command it if it was easy? Obviously, He wanted to give us the head’s up about something. The other book I’m working on is a fiction book for teen to adult. It’s got a lot of comedy, some mystery, and gets serious about dealing with those things my character doesn’t necessarily want to face. Right now, I’m in chapter 5. Also, I’ve been privileged to get an assignment to interview several Pentecostal fiction authors. Awesome! I love my job! It’s so neat to see the way they write. Some outline, some don’t. In fact, one person simply sits at his computer with a blank screen and starts writing! Dude! So far, I haven’t had to deal with writer’s block. It seems to be moving right along. I’ll let you know about any bumps I encounter. If you want to follow along, just hit the Hub Pages button on the right. 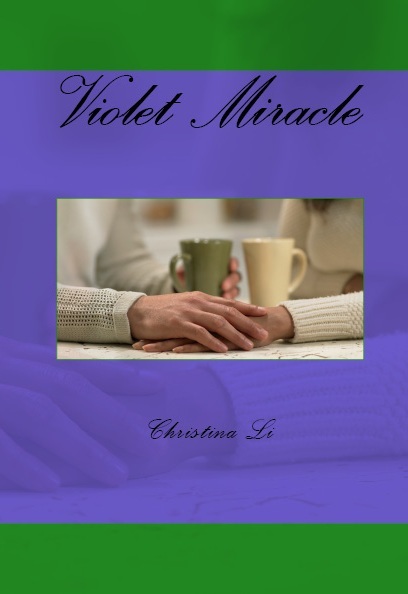 The book is called Violet Miracle and several chapters are up and available to see. BTW, this is a ‘first draft’, so the final published edition will be slightly different. Hopefully, all of my strange inconsistencies will be edited out. Right now, I’m having a blast seeing where Violet and her new friends take me.